Beloved! Christ is risen! Indeed, He is risen! I received an e-mail recently which included graphic details of three Christian men in Turkey who were brutally tortured for simply leading bible studies. Reading the grueling details of the inhumane acts of disembowelment, dismemberment—slow deaths where they were forced even to watch their own gruesome ends—and eventual decapitations, left me sick to my stomach, to say the least, and broken hearted over the senseless brutality that can dwell in the hearts of men. I share this with you, not to cast a shadow over our current celebrations of Pascha, our Bishop’s visit and our parish’s tenth anniversary, but rather to give these celebrations an even greater context in defining who we really are as Orthodox Christians! What does it mean to be a Christ-bearer? This question may best be answered “apophatically,” meaning to answer the question by saying what a Christ-bearer is not. A few things a Christ-bearer is not: one who openly sins and does not repent; one who denies that the pathway to heaven is through the carrying of the cross; one who mocks basic Christian virtues such as modesty and chastity by practicing just the opposite; one who worships God “his own way” and rejects the rich heritage of Christian Tradition which has clearly revealed “right worship”; one who legalistically holds to the teachings of the Church but neglects the weightier matters of the law—justice, mercy, and faith;”; one whodoes not show love for God and for his neighbor. 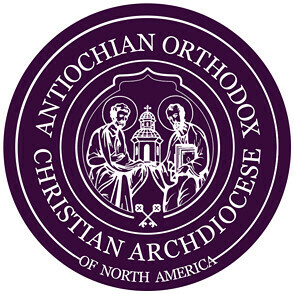 It is just as difficult, in this context, to then answer the question, “Who is a Christian?” There are many people in the world today who call themselves Christian, and in our case, “Orthodox Christian.” But dare we say that everyone who calls themselves such actually is? The truth of the matter is—and this is something that each of us should and must be concerned about if we are to ever take seriously this very personal claim—that not everyone who calls themselves a Christian is in truth a Christian. “Not everyone who says to Me, ‘Lord, Lord,’ shall enter the kingdom of heaven, but he who does the will of My Father in heaven.” (Matt. 7:21). Unfortunately many churches today are filled with people who do not really want to follow the way of life of the Gospel. And why? Because it requires an uncompromising zeal for self-denial. Simply put, way too often people want the comfort of knowing that God is there for them without the personal dedication of being there for God.